Has anyone been able to put their hands on the new RCBS Pro Chucker? I'm looking at the Dillon's and this press seems to fall in a good competitive spot price wise. I've loaded single stage for 25 years and finally want to get competitive with my 38 and 45. The Square Deal B is likely the best Dillon choice for me. I'll never need (famous last words) to load rifle calibers progressive and can use the old Rock Chucker set up for working up loads or small runs. I picked up a 550b so I could use my existing dies and powder (lee) systems. Everyone speaks highly of the 550. I'm hesitant because of the manual indexing. Do you find that to be an issue? I see the manual indexing as a positive feature. It gives me a chance to look at what just happened before I go to the next stage. The 550 also allows you to easily make corrections for mental lapses. Not at all. I use lee disc powder measures and there easy to move from one head to another, or cheap enough to have one for each head. The 550B meets my production needs. The manual index gives me greater control. Two bullseye shooters at my club have double charged with a 550. Manual indexing is not always best. The 550B is a great press, I bought it over the Square Deal because it uses standard dies. I've loaded >10,000 rounds with it both rifle and pistol. I added a case feeder and a UniqueTek TURBO-BEARING to help it run smoother. I've also done some other mods, one to feed .223 brass using the case feeder, Spent Primer Chute and the Toolhead Clamp Kit. I load 9 different calibers with it, very quick changeover. I've added a Super 1050 that loads mostly 45ACP for bullseye. If you double charged on a press that doesn't auto index, you've failed to engage the safety mechanism between your ears. Just like distracted driving, distracted loading is dangerous. 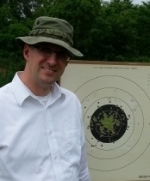 davekp wrote: Two bullseye shooters at my club have double charged with a 550. Manual indexing is not always best. That's the primary reason I chose the XL650, not so much for the auto indexing but for the extra station that allows me to more easily see the powder charge. I also remove the case at that station occasionally to check powder weight. STEVE SAMELAK wrote: If you double charged on a press that doesn't auto index, you've failed to engage the safety mechanism between your ears. on a 550B, it sits right in front of you. of course, using the Lee's, I can just leave the pin out and pull the case if I'm in doubt. I have just bought a Dillon XL 650 and I use the RCBS Lock-Out die instead of the Dillon powder check. No batteries to go dead on the Lock-Out die. After loading for over 40 years on a single stage press I'm still a bit leery of the progressive press and it's seeming lack of control compared to a single stage, but I digress. In my opinion I think you should look at the Hornady Lock-N-Load AP. Many places have them for under $400 and that's a pretty good deal and I think comparable to the Dillon 550 price wise. I have been second guessing my choice of the XL650 and wonder if I shouldn't have gone with the Lock-N-Load but they are both good presses. Guess I drank the Blue Kool Aid, only problem I see with the Dillon is a major expense over the Lock-N-Load when I have to purchase parts for a caliber change. Go to Brian Enos page and read the Dillon selector guide he has. It will help if you are considering a Dillon. I have a 550 (that has a 450 solid frame) that I keep setup for rifle, a Rockchucker that I use for long range and misc, and a Square Deal B for nothing but 45. Had I been loading .45 and .38 or 9, I would have bought another 550. I also have my oldest Rockchucker which is setup with a piggyback II progressive mod. I used to use it for .45 acp 20 years ago when playing in idpa. Here is his "which Dillon" advice. I can't imagine how one can double charge on a dillon 550 without wondering why you were about to set a bullet on top of a case that already had a bullet seated. Oh, and if the case in station has an unfired primer in it, then your case in station 2 has powder in it. I have had many more weird things happen on my auto-indexing press. I was lukewarm on the auto-index on my old piggyback II. I generally hand primed and I worried about the loads being off. But I also knew that the uniflo with baffle is a very good measure. Eventually I was able to accept it and churn out rounds for .45acp and .45 colt for IDPA and Cowboy. Fast Forward 15 years and I find that I am much happier with the Square Deal B than I was with the piggyback II. I still have it around and set up for .45 LC. But all of my .45acp loading is on the Square Deal B. BUT, if I was loading for more than one caliber, I would be using the 550. It just makes sense to me. Rob Kovach wrote: I can't imagine how one can double charge on a dillon 550 without wondering why you were about to set a bullet on top of a case that already had a bullet seated. It is very possible to not charge a case on the 550. I discovered a primer only shot in a SF match. Luckily no harm done. The thing I like most about the 550 is it is so easy to use as a single stage and also as a 2 stage. I mean to size prime and expand one time through. And with a different head setup, powder seat and crimp. I grew up with several different single stage presses for mostly rifle. Started in the 50s with a Herters C press. I really like the single L-n-L.
No matter how simple you make it, I can find a way to screw it up. You always have to keep your head straight because it really is rocket science, and you don't want something going grenade that close to your face. Anytime I have a stoppage (which is very rare) or something weird happen, I clear the press at least back to the powder station and everything gets tossed into my pull bin. Just not worth blowing up a gun from a double charge or sticking a round in the barrel during rapid and not noticing it until you fire the next round. I've added this little support plate under the primer feed on my 550 and it really smoothed it up.. if your 550 is a bit jerky with the stock primer fed this will fix it. I have been watching this thread to see if anyone was going to have anything to say about the OP. Just curious but does anyone know anything about the RCBS pro chucker? We were discussing the 550 because the OP asked about them and manual indexing. I stand corrected. I thought OP meant "Original Post" I guess it means " Original Poster". I figured this subject would evolve it's way to a Dillon discussion with virtually no Pro Chuckers out there yet. They just became available on Midway. It appears the pricing and auto indexing feature will put it in competition with the Dillon 650. Time will tell if it's a valid competitor to the Dillon. I see RCBS at a tie with quality and service. After much study on this subject, if RCBS wants to sell more progressive equipment, they need to mimic the Dillon line. Competition is a good thing . . . I love the free market . . . I wish the Democrats loved it too. The link to Brian Enos' web page detailing the Dillon lines features and benefits has been very helpful. Optics Planet has the 5 and the 7 with extras.